Unique Pet Tag: Our tags are a bit different than what you might be used to. Each tag has a unique ID code that is specific to your pet. Our high-quality zinc alloy tag has a special code on the back that is unique to your pet and this code is associated to an online profile which you can manage from your DocuPet account. Online Profile: Your pet’s online profile allows you to store your contact information, additional pet information and a photo of your pet. Here you can choose what information is visible to the public through your privacy settings. Lost Pet Program: Our Lost Pet System is a free online tool designed to connect pet owners and their community to share updates about the whereabouts and condition of lost pets. Your pet’s tag is engraved with a unique identifying code that is tied directly to their online profile. This code is what allows both you and members of your community to easily and efficiently communicate through our system’s Lost and Found Pet Reports. DocuPet Rewards Program: DocuPet has teamed up with local businesses to provide discounts to licence holders. Take advantage of special deals offered through the DocuPet Rewards program. Click here to check out the exclusive offers available to you. Show your Rewards Card at any of our participating partners to receive great deals on all sorts of products and services, including many that your furry friend will love. Why is DocuPet in St. Catharines? The City of St. Catharines and DocuPet have partnered up to offer an enhanced Pet Ownership Program for St. Catharines residents. The DocuPet solution includes online licence payments, pet tag distribution, customer service, renewal notice distribution, and community awareness campaigns. Pet owners must now license through the DocuPet program in order to secure a St. Catharines pet licence. In order to complete the licensing process, you will be required to provide basic information about your pet and a few critical pieces of information about yourself including your name, address, and contact information. However, once you have completed the licensing process, you are encouraged to add extra information about your pet in their online accounts, including photos! Do I need to license my pet using the DocuPet system? 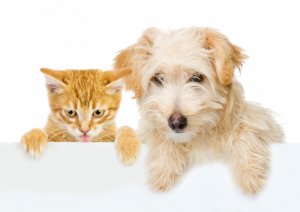 Your municipality is working with DocuPet to provide online pet licensing and renewal to residents. All licensing is done through the DocuPet system. However, you do not have to opt in to the additional services that DocuPet provides. We need your email address to create a unique ID for your account. If you are licensing online or activating your online account we need a way for you to verify your account. Currently you can only license your dog or cat for one year at a time. Sorry! What is a guide dog? A guide dog is a dog trained as a guide for a blind person and having the qualifications prescribed by the regulations under the Blind Person’s Rights Act. Where do I license my pets? If you wish to license from the comfort of home, you can do so online here, or over the phone by calling 1-855-249-1370 between 9:00 AM and 8:00 PM EST. Please note that St. Catharines' licensing program operates on a 365 day cycle. This means that all licences expire the following year on the date they were purchased. If you renew before your licence expires, your new licence doesn't start until the old one expires. A service dog is a dog that has been trained to provide assistance to a person with a disability that relates to that person’s disability. Your pet tag will come in the mail regardless if you license online, over the phone, or in person. Please allow for 10-12 business days to receive your tag and use your receipt as proof of licence in the meantime! Please get in touch with us! We stand by the quality of our tags and if yours has worn within one year of purchase and is no longer legible we will replace it free of charge once provided with proof of the wear. If you are renewing a licence, you may get a new tag or new Rewards Cards, but it’s up to you to indicate you wish to receive these! You can order and pay for a replacement tag online by logging into your account and selecting the "Order Replacement Tags" link. Alternatively, you can visit an associated sales vendor to purchase a replacement tag. Alternatively, contact DocuPet at 1-855-249-1370 for assistance with your lost pet. Why is DocuPet's Lost Pet Service unique? DocuPet's Lost Pet Service allows you to control the information that is displayed from your pet's tag and sends alerts to local pet lovers who want to be part of the program! When you log into your account, the first page you see has a list of your licensed pet(s) and beside your lost pet will be a "Report Fido Found" button. You are always in control of what information is visible to the public through your pet's tag. Go update your privacy settings by logging into your account and click "Privacy Settings" on the far right-hand menu. What happens if my pet is found and taken to the Humane Society? Administrators trained to look up pet IDs when lost pets arrive. They will contact you should your pet arrive at the pound even if you haven't issued a Lost Pet alert. Your pet must be licensed with your municipality to receive this service. You control the information included in a Lost Pet Alert through your "Lost Pet" privacy settings. These privacy settings can be edited at any time from within your online profile. During the process of reporting your pet lost you will be asked to review this information and can edit it if necessary. When you report your pet found we will inform everyone within the lost pet brigade, remove your pet's profile from the "Lost Pet's" page and breathe a big sigh of relief! Report your pet lost by logging into your account. The first page you see has a list of your licensed pet(s) and beside each pet is a "Report Fido Lost" button. You should always check with your local animal shelter as well. Your pet’s information can be edited on your online profile at any time by logging into your account. If you don’t have access to a computer you can update your pet’s information by calling DocuPet at 1-855-249-1370 or visiting any of our associated sales vendors. We’re sorry! Unfortunately unless you tell us a pet is no longer in your care, we have no way of knowing. Have you already told us? You may have a duplicate account. Get in touch with the DocuPet customer service team to update your record by calling 1-855-249-1370 or emailing info@docupet.com. You can update this information in your online account, call us at 1-855-249-1370 or email us at info@docupet.com to let us know of the passing of your pet. Are DocuPet Community Representatives enforcing the by-law? No, community representatives will not be enforcing the by-laws. They are educating the public about the pet licensing by-law and promoting awareness of the DocuPet program. Our community representatives are only visiting homes to drop off information. They are not equipped to license at someone's door. DocuPet offers several convenient options to license online and over the phone. You may also visit a vendor location to license in person. Do I have to keep my dog on a leash? Yes, dogs must be kept on a leash at all times, except when they are on your property or on the property of someone who has given permission for your dog to go unleashed. Does my dog have to wear their tag at all times? Dogs are required to wear their identification tag at all times. You sure do, it’s the law! Does this service comply with the Municipal Freedom of Information and Protection of Privacy Act? DocuPet’s services are in accordance with Legislated requirements. Who retains the pet owner data collected by DocuPet? Any information input into the DocuPet system by administrative staff, or entered into our website where the user chooses not to agree to DocuPet's Terms of Service is 100% municipality owned and is not used by DocuPet in except to administrate the licensing program on behalf of the municipality. Users who choose to agree to DocuPet's Terms of Service are agreeing to share their information with DocuPet and as such are given access to their online profile and have the ability to use DocuPet's Lost Pet System. This is not mandatory for licensing online or in person. Does DocuPet share/sell any information to a third party? No, DocuPet does not share/sell information to a third party. Which web browsers does DocuPet support? DocuPet is built using modern web technologies and works best with an up-to-date web browser. Updating your web browser is free-of-charge and highly recommended to ensure you stay safe online. If you are experiencing problems loading pages, forms or content; please ensure you are running at least the browser versions listed.